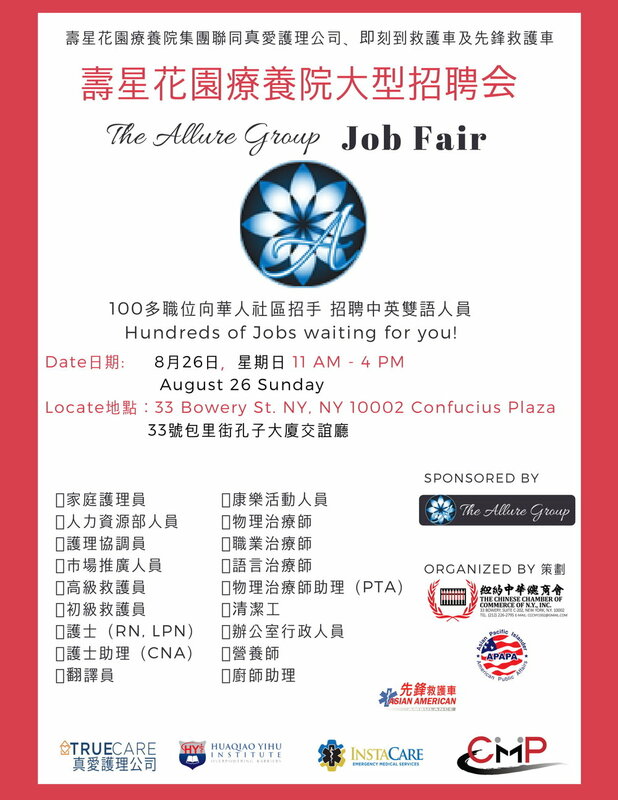 As one of the #AllureJobFair 's community partners, CMP is happy to support this job fair, which provides over 100 medical professions and other jobs openings and will be held on 8/26 at 33 Bowery from 11am-4pm. Yesterday January 30th, CMP and Allure Group together announced our partnership at the press conference at one of Allure Group's facility --- Hamilton Park Nursing and Rehabilitation Center, where our CNA (Certified Nurse Aide) program graduates had just finished their internship. It was a wonderful opportunity for our program participants to get hands-on training at the center, supplementing them with real-life working experiences. The Allure group will also provide more comprehensive services and job opportunities within their 6 locations for our students and the community we serve.